US 60 Bell Road & Grand Avenue Design-Build - Valente Contracting, Inc. This high-profile Design-Build ADOT project improved a major intersection in the West Valley. 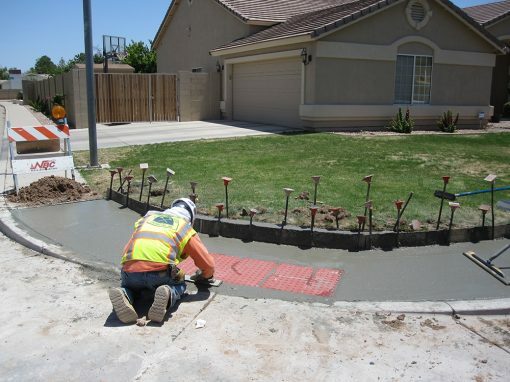 It required coordination with cities, railroad, utilities, and ADOT. It included a very stringent schedule due to traffic and working with other subs. Work completed included 40 catch basins, 17,778 LF of curb, 4,362 SF of valley gutter and apron, and 2,324 LF of barrier.